Home \ Alpha Kappa Alpha \ Georgia College – One step closer to completing the Divine 9! 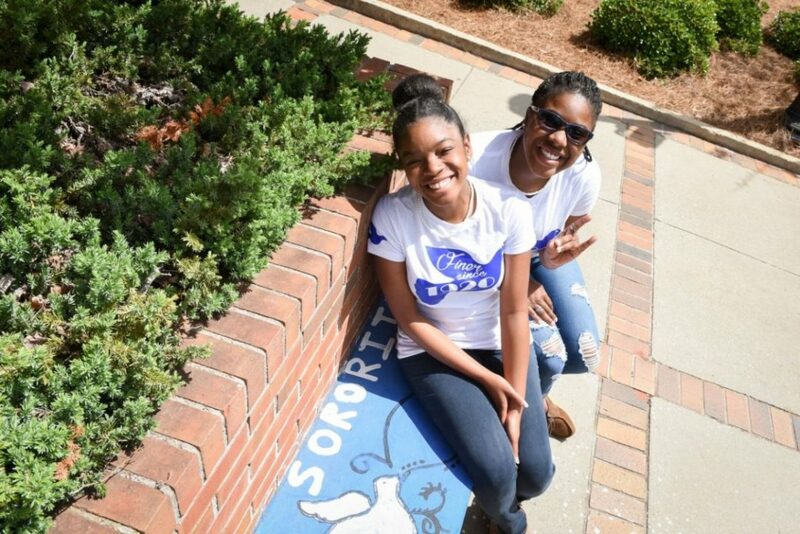 Without knowing it, Jazmin Hunt and Jasmine Gray came to the Office of Fraternity and Sorority Life on the same day, at the same time, wanting the same thing – to revive Zeta Phi Beta, an African-American sorority not seen on campus for five years. With its revival, Georgia College is one step closer to becoming home to all nine of the Divine 9 -- which are historically African-American fraternities and sororities. During Greek Weekend this month, the new Zeta sisters were introduced to a cheering crowd of about 1,900 Greek-life students.